Spanish giant telco Telefónica is planning to bid for LTE frequencies in Brazil and Chile during the second half of the year, BusinessWeek reported. As we reported, smartphone sales seem to be taking off in Latin America, boosting data use. The announcement was made in Barcelona by the company’s CTO Enrique Blanco, who added that the operator will invest “all the money it needs” to achieve its goal. As a matter of fact, obtaining LTE frequencies in these two countries is of extreme strategic importance for the telco. 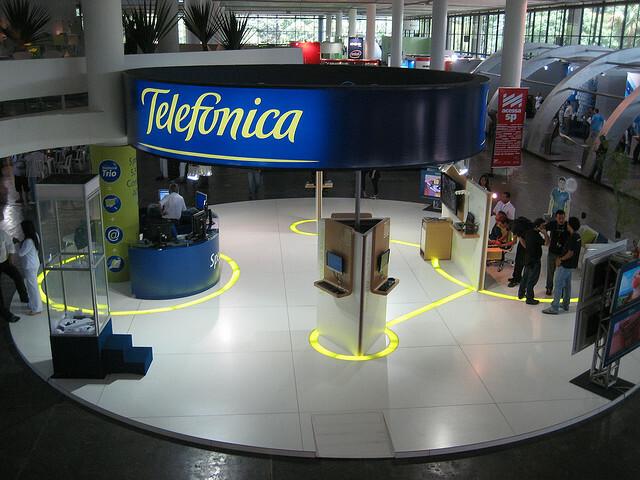 As we reported, Latin America now accounts for almost half of Telefónica’s revenues. The company is making this move to avoid missing out on the mobile data boom in Latin America – hence its willingness to bid for LTE frequencies not only in Brazil and Chile, but also across the region. Speaking to BusinessWeek, Telefónica’s director for radio access networks Ian Miller predicted that within 18 months, the company will bid for LTE frequencies in other Latin American markets such as Argentina, Uruguay, Mexico or Peru. This shouldn’t come as a surprise, as it has already started to conduct a few LTE trials in the region.